You’re an amazing mom, and you’re already on your way to claiming the “Mommy of the Year Award.” You want to look fabulous when accepting it, right? Now that you’ve brought an adorable genius into the world, it’s time for you to focus on you. It’s time to get back to your pre-baby body. For many new moms, that means a Mommy Makeover. During pregnancy and then through the birthing process, women’s bodies undergo major transformations – both inside and outside the body. It can take a major toll on your body – impacting everything from your hormones – to changing the size of your breasts – to creating “battle scars” on your stomach – stretch marks, and that’s just for starters. There are so many questions out there about Mommy Makeovers, which is why we thought we’d set the record straight with three Mommy makeover myths. This is a myth. Obviously, childbirth mostly impacts women’s breasts and abdomen, and most Mommy Makeovers, including ours, focuses on surgeries involving those two areas. But you do not have to have everything done. It’s not a “bundled” specific set of surgeries. It’s all about you, your desires and goals. We take a personal approach to each cosmetic surgery we perform. While genetics can play a role in how any patient heals Dr. Tattelbaum does his best to hide or minimize the impact of the scars. Stretch marks, for example, are a form of scarring of the skin. If visible stretch marks can be removed and a tummy tuck scar is hidden below a bathing suit or bikini line for most the trade-off is worth it. This is a total myth. Mommy Makeovers are certainly not limited to the abdomen and breast. Many new moms also opt for non-invasive skincare treatments and procedures that can enhance their beauty, such as injectables – if they’re not breastfeeding or once they stop breastfeeding. We also offer some incredible skin care options. Let us help you get your pre-baby body back, with beautiful, natural results, and help you boost your self-confidence, with our Mommy Makeover. You deserve it. 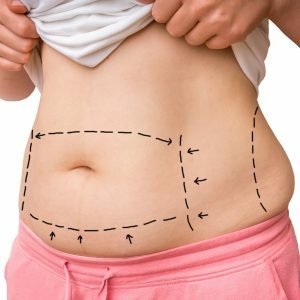 If you’re thinking about getting a Mommy Makeover, make sure you choose a board-certified plastic surgeon, such as Dr. Tattelbaum. In addition to being qualified, he’s also compassionate and will take the time to make sure you understand the entire procedure that you’re having done, along with expectations. Dr. Tattelbaum can’t wait to meet you! We have three locations conveniently located near you: Rockville, MD – Annapolis, MD – and McLean, VA. Schedule an appointment for a consultation here on our website or simply call us at (301) 656-6398. And of course, congratulations on your new bundle of joy!